Crystal Vision is always developing new products – with these either offering an enhanced features list or supporting more video formats. As new products are introduced, the previous models are naturally withdrawn – and here you'll find the obsolete products and our suggested replacements for them. Please note that the alternative products recommended provide a similar functionality to the obsolete product, but they are not identical and rear modules will usually be different. 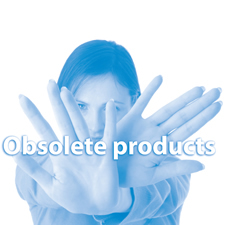 If you are currently using a product that has been made obsolete, you can still download the user manual for it. To do so you will need your Registered Area username and password – alternatively request a Registered Area password now. Which product should I use instead? 3GDA105N digital video distribution amplifier (obsoleted 2018). Use instead: 3GDA105C. 3GDA111N digital video distribution amplifier (obsoleted 2018). Use instead: 3GDA111C. AADA416M analogue audio distribution amplifier (obsoleted 2003). Use instead: AADA416FM. AADA416R analogue audio distribution amplifier (obsoleted 2003). Use instead: AADA416FR. ADC102F A to D converter (obsoleted 1999). Use instead: ADDEC-210. ADC102FK A to D converter (obsoleted 1999). Use instead: ADDEC-210. ADC102N A to D converter (obsoleted 1999). Use instead: ADDEC-210. ADC104F A to D converter (obsoleted 2006). Use instead: ADDEC-210. ADC104FK A to D converter (obsoleted 2005). Use instead: ADDEC-210. ADC104N A to D converter (obsoleted 2006). Use instead: ADDEC-210. ADCA402 analogue to digital audio converter (obsoleted 1999). Use instead: ADCA412. ADDEC-100 decoding converter (obsoleted 2007). Use instead: ADDEC-210. ADDEC-200 decoding converter (obsoleted 2007). Use instead: ADDEC-210. ADDEC-310 decoding converter (obsoleted 2016). Use instead: ADDEC-210. AIP2 analogue audio input piggyback (obsoleted 2006). Use instead: 3G-AIP2. AOP2 analogue audio output piggyback (obsoleted 2006). Use instead: 3G-AOP2. ARC102 aspect ratio converter (obsoleted 2013). Use instead: ARC-20MC. ARC-10MC aspect ratio converter (obsoleted 2011). Use instead: ARC-20MC. AVDELAY 3G audio/video delay (obsoleted 2017). Use instead: No direct alternative available, although various audio delays and video delays are available. Clip N Key V120 clip and sting store (obsoleted 2009). Use instead: Clip N Key V121. Clip N Key V220 clip and sting store (obsoleted 2009). Use instead: Clip N Key V221. CoCo104 colour corrector (obsoleted 2012). Use instead: CoCo 3G. CoCo HD colour corrector (obsoleted 2011). Use instead: CoCo 3G. CoCo Controller control panel for CoCo104 colour corrector (obsoleted 2012). Use instead: CoCo 3G Controller with CoCo 3G. CoCo HD Controller control panel for CoCo HD colour corrector (obsoleted 2011). Use instead: CoCo 3G Controller with CoCo 3G. DAC102F D to A converter (now obsolete). Use instead: ALLDAC. DAC102FK D to A converter (now obsolete). Use instead: ALLDAC. DAC102N D to A converter (now obsolete). Use instead: ALLDAC. DACA204 D to A audio converter (obsoleted 1999). Use instead: DACA214. DBE-D Dolby decoder top-board (obsoleted 2017). Use instead: No alternative available. DBE-E Dolby encoder top-board (obsoleted 2015). Use instead: No alternative available. DCDCV18 power supply for analogue audio configurations (obsoleted 2006). Use instead: HD-DCDCV18. DDA108 digital video distribution amplifier (obsoleted 2013). Use instead: 3GDA105C or 3GDA111C. DDA108A digital video distribution amplifier (obsoleted 2012). Use instead: 3GDA105C or 3GDA111C. DDA108A-BP digital video distribution amplifier (obsoleted 2012). Use instead: 3GDA105C or 3GDA111C. DDA208A dual channel digital video distribution amplifier (obsoleted 2006). Use instead: 3GDA204R or 3GDA210R. DDA208B dual channel digital video distribution amplifier (obsoleted 2013). Use instead: 3GDA204R or 3GDA210R. DDAA132 monitoring encoder (obsoleted 2012). Use instead: ALLDAC (NB. Full broadcast quality). DDAA132P monitoring encoder (obsoleted 2012). Use instead: ALLDAC (NB. Full broadcast quality). DDAA172 monitoring encoder (obsoleted 2001). Use instead: ALLDAC (NB. Full broadcast quality). DDAA246 monitoring encoder (obsoleted 2009). Use instead: ALLDAC (NB. Full broadcast quality). DEC101S decoder (obsoleted 2005). Use instead: ADDEC-210. DEC102 decoder (obsoleted 2009). Use instead: ADDEC-210. DEC102S decoder (obsoleted 2004). Use instead: ADDEC-210. DEC103S decoder (obsoleted 2004). Use instead: ADDEC-210. DEC104S decoder (obsoleted 2005). Use instead: ADDEC-210. DEC105S decoder (obsoleted 2010). Use instead: ADDEC-210. Demon de-embedding monitor (obsoleted 2006). Use instead: Q-Down-AG 3G to provide similar video functionality and TANDEM 310 to provide similar audio functionality. Demon 2 de-embedding monitor (obsoleted 2014). Use instead: Q-Down-AG 3G to provide similar video functionality and TANDEM 310 to provide similar audio functionality. DIP2 digital audio input piggyback (obsoleted 2006). Use instead: No alternative available (NB. DIOP4 is available for more recent audio boards). DIP2-RS digital audio input piggyback (obsoleted 2006). Use instead: No alternative available (NB. DIOP4 is available for more recent audio boards). DOP2-75 digital audio output piggyback (obsoleted 2006). No alternative available. DOP2-110 digital audio output piggyback (obsoleted 2006). No alternative available. DTB-AV desk top box (now obsolete). Use instead: Indigo DT. Dual 3G-DL single link to dual link converter (obsoleted 2015). No alternative available. Dual DL-3G dual link to single link converter (obsoleted 2015). No alternative available. EMDEC-100 embedding decoder (obsoleted 2010). Use instead: EMDEC-200. ENC101 encoder (now obsolete). Use instead: ALLDAC. ENC116 encoder (obsoleted 2010). Use instead: ALLDAC. ENDAC encoder (now obsolete). Use instead: ALLDAC. Flip scan reverser (obsoleted 2012). No alternative available. Flip HD scan reverser (obsoleted 2011). No alternative available. FP1-LAV active front panel for FR1AV 1U frame (now obsolete). Use instead: Indigo 1AE (NB. Active front panel is included as part of frame). FP1-SAV active front panel for DTB-AV desk top box (now obsolete). No alternatives available as desk top box with integrated control panel is now obsolete. FP2-LF active front panel for FR2AV 2U frame (now obsolete). Use instead: Indigo 2AE (NB. Active front panel is included as part of frame). FR1AV 1U frame (now obsolete). Use instead: Indigo 1SE. FR2AV 2U frame (now obsolete). Use instead: Indigo 2SE. FRX204 fibre optic receiver (obsoleted 2011). Use instead: FRX 3G. FTX202 fibre optic transmitter (obsoleted 2011). Use instead: FTX-L 3G. FRX HD fibre optic receiver (obsoleted 2010). Use instead: FRX 3G. FTX HD fibre optic transmitter (obsoleted 2010). Use instead: FTX-L 3G. FTX 3G fibre optic transmitter (obsoleted 2012). Use instead: FTX-L 3G. GEN102 test pattern generator (now obsolete). No alternative available. GEN104 test pattern generator (obsoleted 2010). No alternative available. GPI36 GPI card (obsoleted 2010). No alternative available. HD-AIP2 analogue audio input piggyback (obsoleted 2013). Use instead: 3G-AIP2. HD-AOP2 analogue audio output piggyback (obsoleted 2013). Use instead: 3G-AOP2. HD-DIP2 digital audio output piggyback (obsoleted 2015). Use instead: No alternative available (NB. DIOP4 is available for more recent audio boards). HD-DIP2-RS digital audio output piggyback (obsoleted 2015). Use instead: No alternative available (NB. DIOP4 is available for more recent audio boards). HDDA104R digital video distribution amplifier (obsoleted 2010). Use instead: 3GDA105R. HDDA108R digital video distribution amplifier (obsoleted 2010). Use instead: 3GDA111R. HDDA105C digital video distribution amplifier (obsoleted 2010). Use instead: 3GDA105C. HDDA105N digital video distribution amplifier (obsoleted 2010). Use instead: 3GDA105C. HDDA105NA digital video distribution amplifier (obsoleted 2010). Use instead: 3GDA105C. HDDA111C digital video distribution amplifier (obsoleted 2010). Use instead: 3GDA111C. HDDA111N digital video distribution amplifier (obsoleted 2010). Use instead: 3GDA111C. HDDA111NA digital video distribution amplifier (obsoleted 2010). Use instead: 3GDA111C. Indigo 1 1U frame (obsoleted 2013). Use instead: Indigo 1SE. Indigo 1A 1U frame (obsoleted 2007). Use instead: Indigo 1AE. Indigo 1S 1U frame (obsoleted 2007). Use instead: Indigo 1SE. Indigo 1-DP 1U frame (obsoleted 2013). Use instead: Indigo 1SE-DP. Indigo 1A-DP 1U frame (obsoleted 2007). Use instead: Indigo 1AE-DP. Indigo 1S-DP 1U frame (obsoleted 2007). Use instead: Indigo 1SE-DP. Indigo 2 2U frame (obsoleted 2013). Use instead: Indigo 2SE. Indigo 2A 2U frame (obsoleted 2007). Use instead: Indigo 2AE. Indigo 2S 2U frame (obsoleted 2007). Use instead: Indigo 2SE. Indigo 4 4U frame (obsoleted 2013). Use instead: No 4U alternative so suggest 2U Indigo 2SE. Indigo 4S 4U frame (obsoleted 2007). Use instead: No 4U alternative so suggest 2U Indigo 2SE. Indigo 4SE 4U frame (obsoleted 2013). Use instead: No 4U alternative so suggest 2U Indigo 2SE. Indigo DTA desk top box (obsoleted 2007). Use instead: Indigo DTSE (NB. No integrated control panel). Indigo DTAE desk top box (obsoleted 2011). Use instead: Indigo DTSE (NB. No integrated control panel). Indigo DTS desk top box (obsoleted 2007). Use instead: Indigo DTSE. LKEY211 linear keyer (obsoleted 2013). Use instead: LKEY 3. LKEY HD linear keyer (obsoleted 2013). Use instead: LKEY 3. MON204 dual channel monitoring encoder (now obsolete). Use instead: MON210. MultiLogo V130 logo keyer (obsoleted 2009). Use instead: MultiLogo V132. MultiLogo V131 logo keyer (obsoleted 2013). Use instead: MultiLogo V132. MultiLogo V131 8G logo keyer (obsoleted 2013). Use instead: MultiLogo V132 8G. MultiLogo V430 logo keyer (obsoleted 2009). Use instead: MultiLogo V432. MultiLogo V431 logo keyer (obsoleted 2013). Use instead: MultiLogo V432. MultiLogo V431 8G logo keyer (obsoleted 2013). Use instead: MultiLogo V432 8G. PAN-XKEY control panel for X-KEY chroma keyer (now obsolete). Use instead: VisionPanel with Safire 3 and Safire 3 Xpress. PAN-SKEY control panel for X-KEY chroma keyer (now obsolete). Use instead: VisionPanel with Safire 3 and Safire 3 Xpress. Playback instant replay device (obsoleted 2011). No alternative available. Playback 8G instant replay device (obsoleted 2011). No alternative available. PLUGE102 test pattern generator (now obsolete). No alternative available. PSU-75 power supply (now obsolete). Use instead: PSU-160i. PSU-75i power supply (now obsolete). Use instead: PSU-160i. PSU-150 power supply (now obsolete). Use instead: PSU-160i. PSU-150i power supply (now obsolete). Use instead: PSU-160i. PS-55i power supply (obsoleted 2008). Use instead: PS-80i. Q-Down123 down converter and DA (obsoleted 2017). Use instead: Q-Down-AG 3G. Q-Down123-A down converter and DA (obsoleted 2010). Use instead: Q-Down-AG 3G. Q-Down123-A-AFD down converter and DA (obsoleted 2010). Use instead: Q-Down-AG 3G. Q-Down183 down converter and DA (obsoleted 2017). Use instead: Q-Down-AG 3G. Q-Down183-A down converter and DA (obsoleted 2010). Use instead: Q-Down-AG 3G. Q-Down183-A-AFD down converter and DA (obsoleted 2010). Use instead: Q-Down-AG 3G. Q-Down-A 3G down converter and DA (obsoleted 2011). Use instead: Q-Down-AG 3G. Q-Down-AT 3G down converter and DA (obsoleted 2011). Use instead: Q-Down-AG 3G. REM1U remote control panel (now obsolete). Use instead: VisionPanel (note that only recent boards that have an XML file can be operated using VisionPanel). REM1US narrow remote control panel (now obsolete). Use instead: VisionPanel (note that only recent boards that have an XML file can be operated using VisionPanel). REMIND remote control panel (obsoleted 2013). Use instead: VisionPanel (note that only recent boards that have an XML file can be operated using VisionPanel). REMIND-E remote control panel (obsoleted 2014). Use instead: VisionPanel (note that only recent boards that have an XML file can be operated using VisionPanel). RM05 quad slot frame rear module (obsoleted 2010). Previously used for Demon, Demon 2, EMDEC-100, EMDEC-200, SYNNER144, SYNNER-E, TANDEM-110, TANDEM-200 and TANDEM-300. Use instead: RM04 or RM26 for EMDEC-200 - all other products are now obsolete. RM06 dual slot frame rear module (obsoleted 2014). Previously used for Demon, Demon 2, TANDEM-110, TANDEM-200 and TANDEM-300 (all now obsolete). RM07 dual slot frame rear module (obsoleted 2015). Previously used for EMDEC-100, EMDEC-200, SYNNER144, SYNNER-E, TAD202, TANDEM-110, TANDEM-200 and TANDEM-300 (more are now obsolete, and EMDEC-200 now only embeds analogue audio and not AES). RM08 quad slot frame rear module (obsoleted 2011). Previously used for TANDEM-110, TANDEM-200 and TANDEM-300 (all now obsolete). RM09 single slot frame rear module (obsoleted 2011). Previously used for VDA110M and VDA110R (both now obsolete). RM19 quad slot frame rear module (obsoleted 2013). Previously used for SW808 (now obsolete). RM20 dual slot frame rear module (obsoleted 2010). Previously used for SW808 (now obsolete). RM22 dual slot frame rear module (obsoleted 2013). Previously used for Demon and Demon 2 (both now obsolete). RM28 single slot frame rear module (obsoleted 2010). Previously used for FRX204 and FRX HD (both now obsolete). RM29 single slot frame rear module (obsoleted 2007). Previously used for HDDA104R, HDDA108R, Up-and-down, Up-and-down-A and ViViD HD (all now obsolete). RM30 single slot frame rear module with no audio connections (obsoleted 2012). Previously used for EMDEC-200 and SYNNER144. Use instead: RM04 or RM26 for EMDEC-200 - SYNNER144 is now obsolete. RM31 single slot frame rear module (obsoleted 2010). Previously used for FTX204 and FTX HD (both now obsolete). RM33 single slot frame rear module (obsoleted 2012). Previously used for SYNNER-E HD, SYNNER HD, TANDEM HD-20 and TANDEM HD-21 (all now obsolete). RM35 'easywire' single slot frame rear module (obsoleted 2017). Previously used for ADCA412, DACA214 and DADA range. Use instead: No alternative easywire rear modules. RM36 dual slot frame rear module (obsoleted 2014). Previously used for Demon 2 and TANDEM-110 (both now obsolete). RM37 'easywire' single slot frame rear module (obsoleted 2017). Previously used for AADA range. Use instead: No alternative easywire rear modules, so just use RM17. RM38 single slot frame rear module with relay bypass protection (obsoleted 2012). Previously used for DDA108A-BP and SW222 (both now obsolete). RM39 dual slot frame rear module (obsoleted 2012). Previously used for SYNNER-E HD, SYNNER HD, TANDEM HD-20 and TANDEM HD-21 (all now obsolete). RM40 dual slot frame rear module with relay bypass protection (obsoleted 2013). Previously used for LKEY HD and Safire HD 2 (both now obsolete). RM42 single slot frame rear module with relay bypass protection (obsoleted 2013). Previously used for LKEY211 (now obsolete). RM43 single slot frame rear module with relay bypass protection (obsoleted 2011). Previously used for ARC-10MC (now obsolete). RM49 dual slot frame rear module (obsoleted 2014). Previously used for SYNNER-E 3G and TANDEM 3G (both now obsolete). RM51 single slot frame rear module with relay bypass protection (obsoleted 2011). Previously used for CoCo HD (now obsolete). RM56 single slot frame rear module (obsoleted 2012). Previously used for FTX 3G (now obsolete). RM65 single slot frame rear module with relay bypass protection (obsoleted 2011). Previously used for CoCo HD (now obsolete). Safire chroma keyer (obsoleted 2013). Use instead: Safire 3 or Safire 3 Xpress. Safire 3 Controller control panel for Safire 3 (obsoleted 2014). Use instead: VisionPanel. Safire Controller control panel for Safire, Safire HD, Safire SD 2 and Safire HD 2 (obsoleted 2015). Use instead: VisionPanel with Safire 3 or Safire 3 Xpress. Safire HD chroma keyer (obsoleted 2007). Use instead: Safire 3 or Safire 3 Xpress. Safire HD 2 chroma keyer (obsoleted 2015). Use instead: Safire 3 or Safire 3 Xpress. Safire SD 2 chroma keyer (obsoleted 2010). Use instead: Safire 3 or Safire 3 Xpress. ShARC102 aspect ratio converter (now obsolete). Use instead: ARC-20MC. ShARC204 aspect ratio converter (now obsolete). Use instead: ARC-20MC. ShARC102-XP aspect ratio converter (obsoleted 2009). Use instead: ARC-20MC. ShARC204-XP aspect ratio converter (obsoleted 2009). Use instead: ARC-20MC. Smart DA instelligent SDI distribution amplifier (obsoleted 2014). Use instead: 3GDA105R (NB. Provides monitoring of fewer criteria than Smart DA). Smart Switch intelligent 2 x 2 switch (obsoleted 2010). Use instead: Smart Switch 3G. Statesman PC control software (obsoleted 2014). Use instead: Statesman Lite or VisionWeb Control. Use SNMP traps if alarm setting is required. Statesman MULTI PC control software (obsoleted 2013). No direct alternative although latest frame software support multiple PCs connection on standard Statesman Lite. SYN101 synchroniser (now obsolete). Use instead: SYN 3G. SYN102 synchroniser (obsoleted 2012). Use instead: SYN 3G. SYN103 synchroniser (obsoleted 2017). Use instead: SYN 3G. SYNAD124 synchroniser (now obsolete). Use instead: SYNNER 310. SYNAD-E synchroniser (obsoleted 2010). Use instead: SYNNER 310. SYN HD synchroniser (obsoleted 2012). Use instead: SYN 3G. SYN HD-AFD synchroniser (obsoleted 2012). Use instead: SYN-A 3G. SYNNER144 synchroniser (obsoleted 2012). Use instead: SYNNER 310. SYNNER-E synchroniser (obsoleted 2010). Use instead: SYNNER 310. SYNNER-E 3G synchroniser (obsoleted 2014). Use instead: SYNNER 310. SYNNER-E HD synchroniser (obsoleted 2012). Use instead: SYNNER 310. SYNNER HD synchroniser (obsoleted 2012). Use instead: SYNNER 310. SW222 2 x 2 routing switch (obsoleted 2012). Use instead: SW221 3G. TAD202 tracking audio delay (obsoleted 2014). Use instead: ADP 310 as a discrete analogue or digital audio delay line, while a tracking audio delay is included in EMDEC-200, SYN-A 3G and SYNNER 310. TANDEM-100 audio embedder/de-embedder (now obsolete). Use instead: TANDEM 310 or TANDEM 320. TANDEM-110 audio embedder/de-embedder (obsoleted 2011). Use instead: TANDEM 310 or TANDEM 320. TANDEM-200 audio embedder/de-embedder (obsoleted 2010). Use instead: TANDEM 310 or TANDEM 320. TANDEM-300 audio embedder/de-embedder (obsoleted 2010). Use instead: TANDEM 310 or TANDEM 320. TANDEM 3G audio embedder/de-embedder (obsoleted 2014). Use instead: TANDEM 310 or TANDEM 320. TANDEM HD-20 audio embedder/de-embedder (obsoleted 2006). Use instead: TANDEM 310 or TANDEM 320. TANDEM HD-21 audio embedder/de-embedder (obsoleted 2012). Use instead: TANDEM 310 or TANDEM 320. TPG102 test pattern generator (obsoleted 2014). No alternative available. Up-and-down up/down/cross converter (obsoleted 2010). Use instead: Up-Down 3G. Up-and-down-A up/down/cross converter (obsoleted 2010). Use instead: Up-Down-A 3G. Up-and-down-AAFD up/down/cross converter (obsoleted 2010). Use instead: Up-Down-AFD 3G. Up-and-down-S (obsoleted 2012). Use instead: Up-Down-AS 3G. VDA110M analogue video distribution amplifier (obsoleted 2009). Use instead: VDA110M HD. VDA110R analogue video distribution amplifier (obsoleted 2011). Use instead: VDA110R HD. VDA210M analogue video distribution amplifier (obsoleted 2009). Use instead: VDA210M HD. VDA210R analogue video distribution amplifier (obsoleted 2011). Use instead: VDA110R HD (NB. Provides the remote control capability of VDA210R but single channel only). ViPA102 video proc-amp (obsoleted 2009). Use instead: CoCo 3G. ViPA204 video proc-amp (obsoleted 2009). Use instead: CoCo 3G. ViViD114 variable video delay (obsoleted 2002). Use instead: ViViD 3G. ViViD124 variable video delay (obsoleted 2013). Use instead: ViViD 3G. ViViD HD variable video delay (obsoleted 2013). Use instead: ViViD 3G. ViViD HD-20 variable video delay (obsoleted 2013). Use instead: ViViD 3G-20 or ViViD HD-40 (NB. The HD-40 uses the same rear module as the HD-20, the RM44). X-KEY digital effects keyer. Use instead: Safire 3 or Safire 3 Xpress.